If you’re searching for a dessert that’s both light and healthy, then you definitely have to try this recipe for blueberry yogurt parfait. It makes two servings, and a single serving has only 166 calories, making it a perfect dessert choice for anyone who’s watching their overall caloric intake. It features tasty blueberries, mint leaves and refreshing Greek yogurt—you’re definitely going to love this one! After trying this recipe, please make sure to rate and review it. Also, feel free to share this recipe with your friends and family on Facebook, Twitter and Pinterest. This blueberry parfait recipe is very simply to follow and it only calls for a few basic ingredients. In order to make this dish, you’ll need some Welch’s 100 percent grape juice, fresh (or frozen, depending on your preference) blueberries, mint leaves and Vanilla Bean Greek Yogurt. Basically, in order to make this parfait, you’re going to reduce the juice into syrup. Then you’ll toss in the blueberries and then place the sauce into the fridge. When you’re ready to serve, add some of the sauce into a glass, then add a layer of yogurt, and then repeat the entire process. If you like this, you have to try our Baklava Breakfast Parfait! Featuring mint, pistachios, honey and our Vanilla Greek Yogurt, you’ll love it! 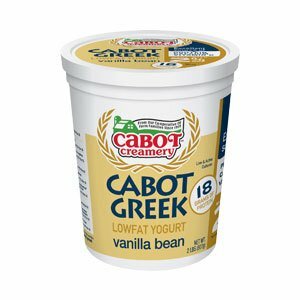 Cabot is a cooperative of over 800 dairy farm families, and we work hard every day to produce our award-winning products. 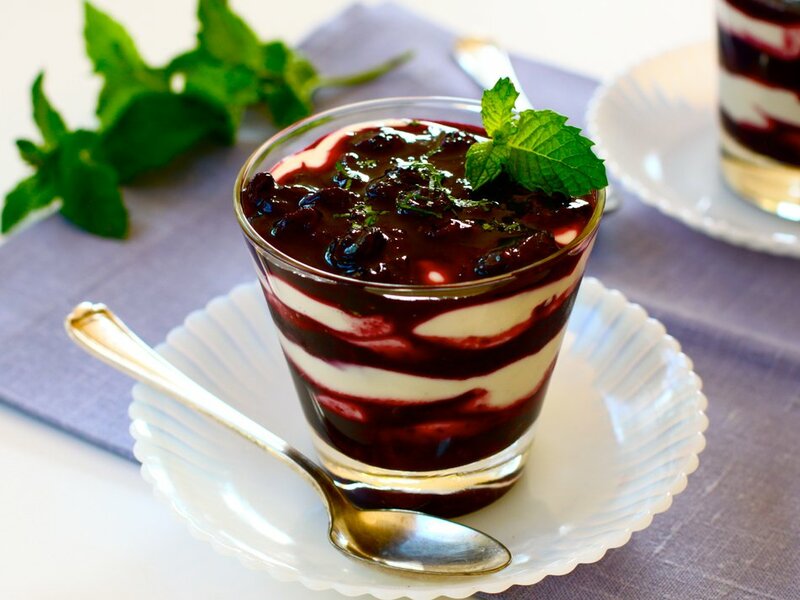 We understand just how important it is to only serve the best to your friends and family at mealtime, and while we’re confident that you’ll love this blueberry parfait recipe, we’d love to hear your thoughts about it. Please make sure to rate and review this dish after trying it. BRING grape juice to boil, in large skillet over high heat, and cook for 5 minutes. Add blueberries and continue cooking until reduced and bubbling thickly, about 4 minutes longer. TRANSFER sauce to bowl, cover and refrigerate until chilled. When ready to serve, stir mint into sauce. Layer yogurt and sauce in two (8-ounce) glasses. 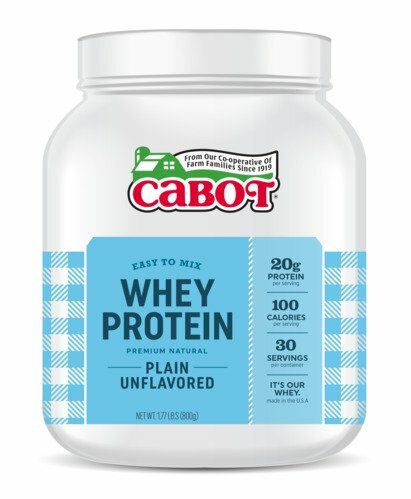 For an extra protein boost, add ½ scoop of Cabot Whey Protein Powder per 1 cup of yogurt.